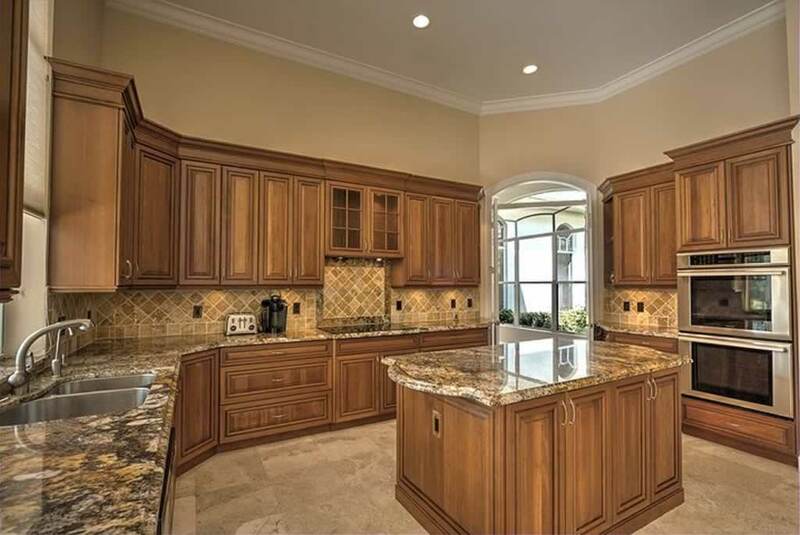 The kitchen is popularly used as the hub of a home, a place to prepare meals, eat, and socialize. Therefore, it is important that you keep the zone looking tidy, comfortable, and up-to-date. If you feel that your kitchen is beginning to look somewhat dated, then a refresh will certainly transform it into something more appealing for you and your family. Most homeowners deal with the quirks and inconveniences of their kitchens on a daily basis. Thankfully, you can still transform the space and make it a place you love, cherish, and enjoy without merely tolerating it. Remember, you don’t need to spend big bucks to make a big impact as you transform your outdated kitchen into a contemporary one. There are many areas where you can focus the improvements and make a big impact even on a small budget. The five small changes we outline below are simple, affordable upgrades that will make the project successful while making you and your family feel more uplifted and organized in your refreshed kitchen. If the lighting inside your kitchen seems too dim or you just dislike the overhead fixture, then you should consider changing it. Decorative lighting fixture upgrades present you with a clever way of improving the appearance of your kitchen without spending a shitload of cash. Choose fancy, rustic light fixtures or chrome light fixtures that match the kitchen color or existing décor. Alternatively, add floor lamps or install LED lights inside or under the kitchen cabinets. Apart from increasing the lighting in your kitchen and making it brighter, the lights help to make the space more welcoming and cozy as well. Replace the regular light bulbs with recessed lighting options and hanging lights. With these options, you can change the level of lighting during the day so that it matches the mood. Softer light is a great option if you need to prepare your coffee in the morning while a bright light is helpful while cooking meals. Dim, warm lighting, on the other hand, comes in handy when you need to pull yourself back to sleep immediately after snacking up in the middle of the night. Changing out the old and ugly kitchen faucet could potentially give the place a more contemporary look. Furthermore, it can improve the functionality of your kitchen as well considering newer faucets come bundled with features that enable easier cleaning and cooking. For instance, the newer faucets installed at a higher level make washing big pots and filling pans and pots an easier task. For a particularly ultra-modern look, consider making the finish trendy by installing faucets with a black or brushed brass look. You may also go with stainless steel (easier to clean). While major kitchen remodels will inevitably require the installation of new upscale countertops, save on the expense by shopping for affordable countertops. If you prefer to keep the old cabinets and choose to refresh them instead, then this would be the ideal time to tear out and install newer countertops. Dave Carr from carrcrete.co.uk says that using micro-cement for your countertops is a much cheaper way to increase the value of your kitchen. The appropriate countertops that suit your kitchen remodeling project will ultimately depend on your current budget, cabinetry, and preferred style. Even so, you can lower your costs by keeping an open mind to the varying range of available materials, compare prices, and perform the installation works yourself. In the meantime, consider removing the old countertops with a DIY project as opposed to paying a contractor to perform the demo work. You should never underestimate the effect produced by a new paint job as well as new curtains to complement the new look. Changing the paint colors in your kitchen will always yield a dramatic change. As a result, you’ll have a refreshing new look for your kitchen. Besides presenting you with an affordable way to make a massive, sweeping change, you could also perform the task without professional help. Handling the bulk of this work saves you more cash. Curtains also make a huge difference. It is important that you change the kitchen curtains every now and then, as they absorb smoke and smells. Upgrading the kitchen curtains and matching them to your newly applied coat will certainly give the room a new look in a similar way to splurging for new accent rugs, décor, or pictures. If the above-mentioned suggestions sound a bit too time-consuming or you would prefer not to engage in any DIY projects, then you might want to drive down to a local furniture store to find appropriate furniture items. Pick up some kitchen chairs, a table, new crockery, French dresser, and sideboard. These items can easily liven up or refresh your dated kitchen space without the hassle of resurfacing or repainting. Remember, there are plenty of other things you can do if you wish to improve your kitchen effectively on a frugal budget. For instance, you can visit yard sales and buy kitchen cabinets if you wish to keep your remodeling costs low. You may also purchase affordable, but gorgeous looking countertops, cabinets, and floor tiles. Wishing for a newly refreshed kitchen space is one thing, but paying for the remodel works is an entirely different thing altogether. While it’s a worthwhile move to splurge on items to transform the space into your dream kitchen, making simple, affordable upgrades in lieu of a major kitchen remodeling job can be realized in so many ways as outlined above. After all, spending considerable amounts of money for an up-to-date kitchen might mean that you work for a longer period than you wished for, going on fewer vacations, or having minimal savings for your retirement. Therefore, if you realize that none of these trade-offs are worth the privilege that comes with a refreshed, picture-perfect kitchen space, then you might want to consider the more modest tips we have discussed in the list provided.